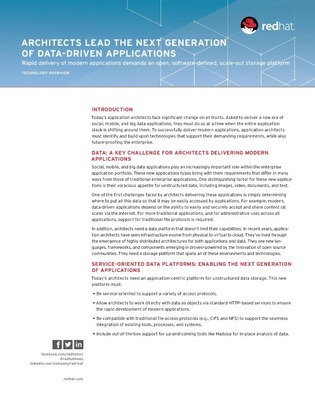 Social, mobile, and big data apps play an increasingly key role within your business application portfolio. These new apps have a voracious appetite for unstructured information; however, determining where to store all of this data in an easily accessible format is challenging. Lastly, read on to find out how Hadoop users can receive more support in big data initiatives.